Former British prime minister Tony Blair has said "there is simply no answer to the Irish issue" around Brexit. Mr Blair, an outspoken opponent of Britain's exit from the EU, believes there is now no deal that current British Prime Minister Theresa May can secure that can be good, or even reasonable, for Ireland. Writing in the 'Observer', Mr Blair said the UK government has tabled a series of "incompatible demands" which has led to a negotiating impasse. "However, they also want Northern Ireland and Britain to be in the same relationship to Europe as each other. "And they made a rash commitment last December that the Northern Ireland issue would be resolved as a part of the Withdrawal Agreement, with the Border frictionless and with a backstop to guarantee it. There is simply no answer to the Irish issue," he added. Describing Mrs May's Chequers plans as "madness", he added: "Time has not lessened my sense of the catastrophic effects of Brexit. It has increased it." 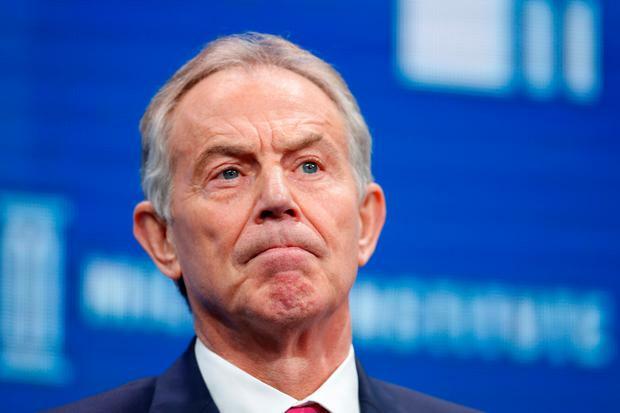 Mr Blair, a key architect of the Good Friday Agreement, urged all MPs to vote down whatever deal Mrs May presents and to push instead for another referendum on Brexit. He warned MPs that if they fail to do so, they will face a backlash from voters. "Everyone is going to come under intense pressure to agree a 'reasonable deal', Labour MPs especially. They should resist. There is no 'reasonable deal'," he wrote. "I promise them as someone who used to win elections: no one will lose their seat on this basis. But vote through a botched negotiation that you don't believe in and the backlash will last a political lifetime."